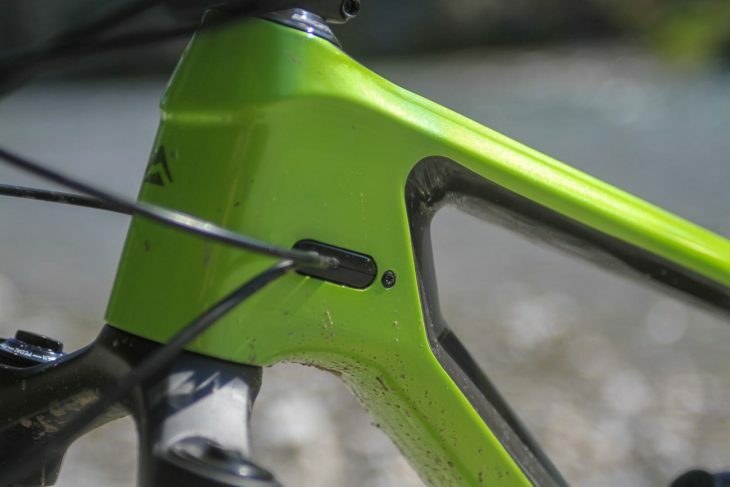 Merida has recently launched a brand new One-Twenty trail bike for 2019. 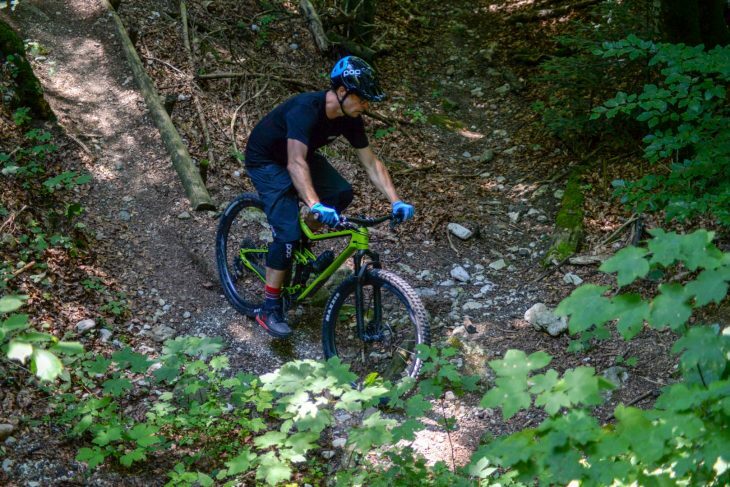 Featuring 120mm of rear suspension travel, a 130mm travel fork, and 29in or 27.5in wheels, the One-Twenty is designed to be a fast, agile and sporty short-travel trail bike. 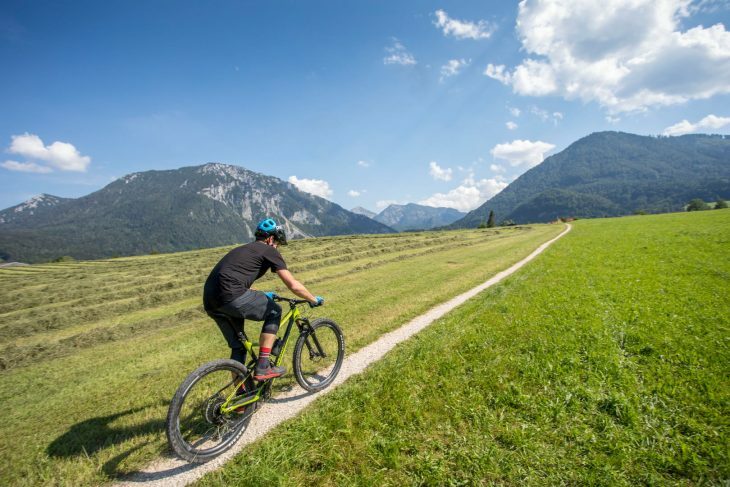 Our young James flew over to Germany to check out the new bike as part of Merida’s 2019 bike launch. 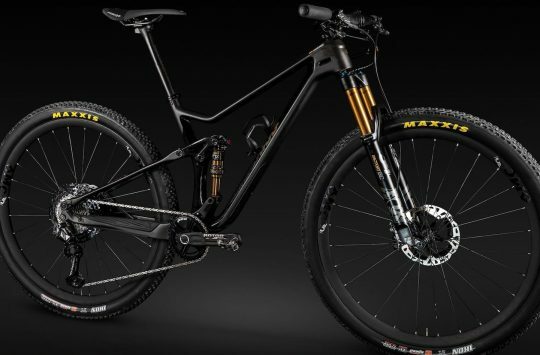 If you want the full rundown of all the frame, spec and geometry details, check out our first look article here. Otherwise read of for James’ first ride impressions, where he aims to find out if Merida has got the balance right. Merida has built a short travel trail bike that comes in many flavours. 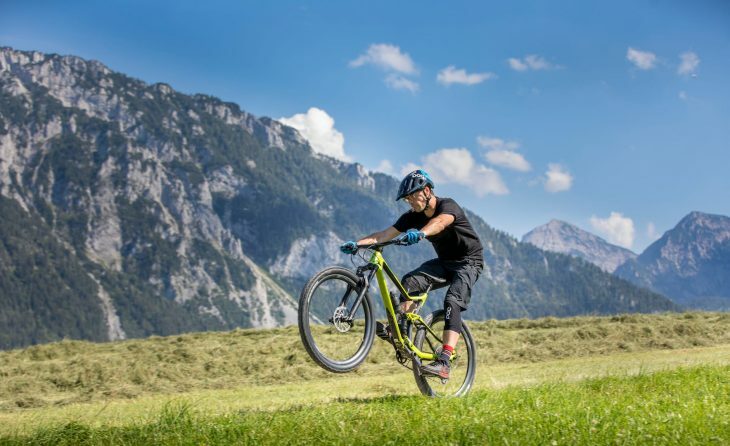 There are versions with 29er or 27.5in wheels, and framesets made out of carbon, aluminium or a combination of both. 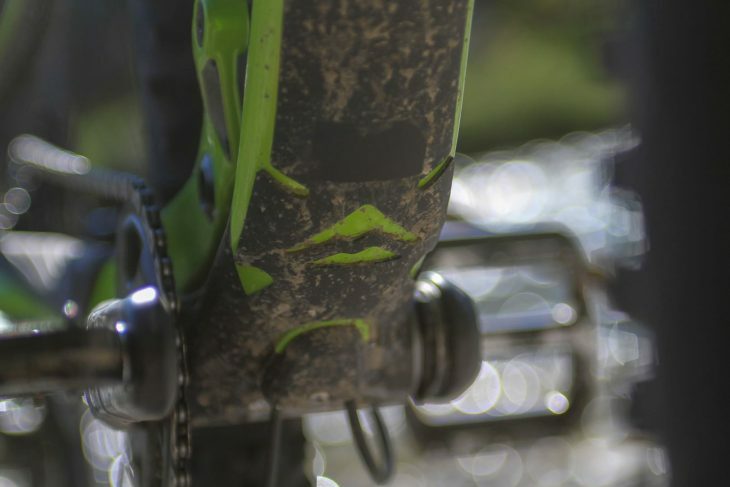 All bikes come with the same amount of suspension travel front and rear: 130mm front and 120mm rear. 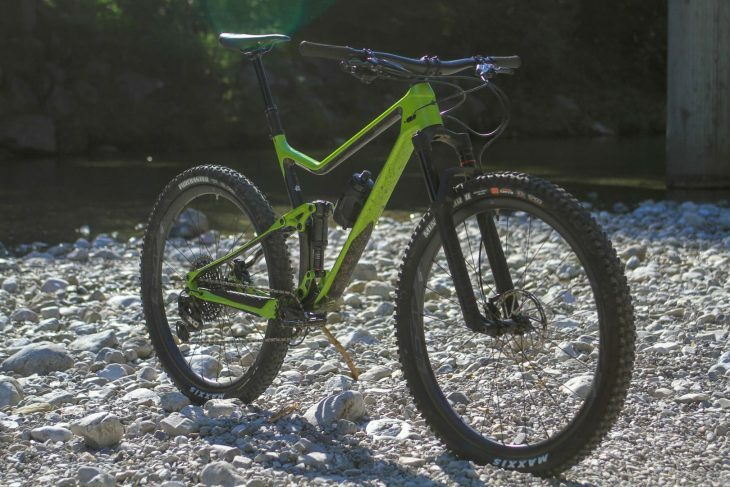 The new One Twenty has been given a full on re-design for 2019 and while it looks similar to the outgoing model, it’s very different. But how so? It’s clear to see that there’s been a careful and considered approach given to the design and specification. Some changes are harder to spot than others but the details, subtle or otherwise are for good reason. This holistic method is applied to the entire range. My first ride was on the all aluminium, trail-spec 600 model. The 600 is the third up from base model. The terrain covered on that first outing was a real mix-up of loose and steep climbs to begin with, followed by rolling, but mostly gradually climbing, off-camber and narrow singletrack with some testing features and awkward pitches, then a bomber loose and high speed fire road descent, a technical undulating singletrack section punctuated with the odd staccato ups and downs, then a nice wide path down by the river where you could simply spin or sprint. I chose to spin in the midday heat. Sated and with thirst quenced I headed out on the 8000 model. I stayed on that bike until it was time to give it back at the end of the day and headed out on it again the next morning. As this was the bike I rode most I’ll focus on it. It’s a 120 but it’s also 8000. All of the numbers! Compared to the all-alloy frame on the 600, the frame on the 8000 is carbon fibre front to back, except for the two-piece alloy rocker link. That’s the same on both models. Are they different? Well apart from the obvious – the aluminium one is cheaper and heavier than this one-from-top, all-carbon one. With differing price tags there was some obvious specification differences but at the same time they both share the same attention to detail. Both rode well. There is a weight difference with the cheaper aluminium bike carrying more mass, but it still pedalled and handled well with superb grip and control from the float link suspension. The biggest discernable difference for me was the fork function. RockShox on both, with a Pike RCT3 for the 8000 and Sektor for the 600. It kind of goes without saying that I could push harder, more confidently with the more sophisticated damping and control afforded by the Pike. Starting at the head tube on the carbon 8000, there’s a good amount of material here. The headtube junction is stout and gives the One-Twenty a purposeful look. The head angle is slacker than the old model, the front centre longer and as such is subject to higher forces. Throughout the One-Twenty there’s something of a subtle contrast between tubes and areas of the bike. 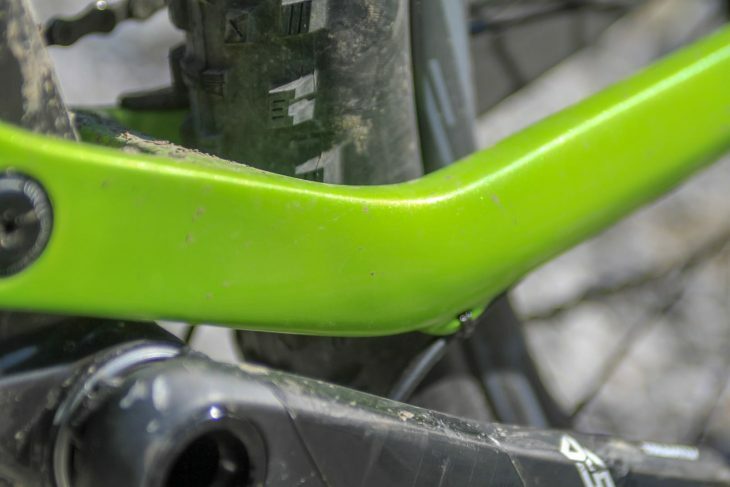 More material where strength and solidity is needed, less where weight can be saved and a different feel is required, like on the slim seatstays. …in contrast to deep section chainstays. Neat cable routing, but with accessible bolts. Nice! There is internal routing for gear cable, dropper cable/hose and brake hose. Clean ports at either side of the head tube hold cables and brake hose fast and keep things looking neat. The holes are fairly big and promise easy removal/install and there was no distracting noise from rattling cables whilst riding. One of the most noticeable changes to the look of the new one-twenty is the significantly lower top tube. From the head tube junction the top tube follows the line of the seatstays then at about 3/4 of the way towards the seat tube it bends back upwards. With plenty of clearance this is a boon for confidence. There’s a good amount of standover, and depending on your height and what it is you want from the bike it could be possible to choose one of two size options if you wanted to size up for greater reach. All frame sizes are able to run a water bottle. Small and Medium will fit 500ml bottles, while the larger sizes can take 750ml. 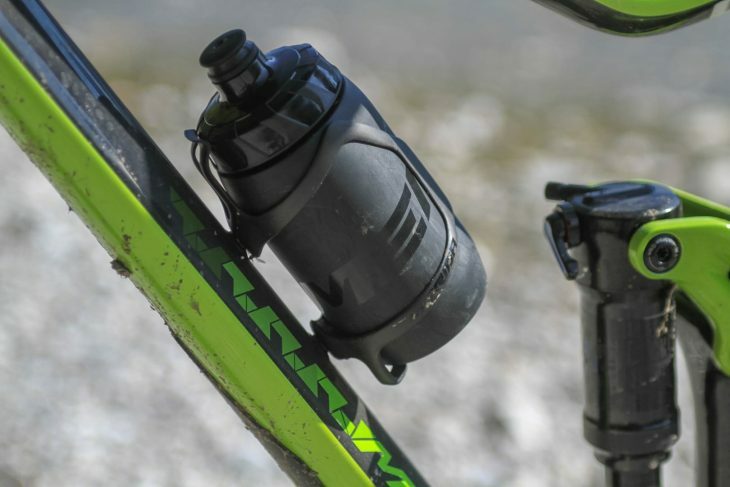 There are mounts for a single bottle on the downtube. These are placed fairly high and require a side loading cage for best use. This positioning I found to be in a sweet spot for easy access while riding, there was no stretching to get to that sweet tasting H2O. Side access cages work best here. Material on the underside of the down tube comprises two materials. The outer layer is a harder compound than the inner layer. This serves dual duty – impact protection and sound dampening. In an effort to keep things quiet there’s a neat rubber chainstay protector and an additional section of rubber wrapped around the side and underside of the seat stay. The rear brake is positioned well inboard of the chainstay. It’s tucked out of the way yes but a little trickier to access and spacing towards the rear of the chainstays runs wide as a result. 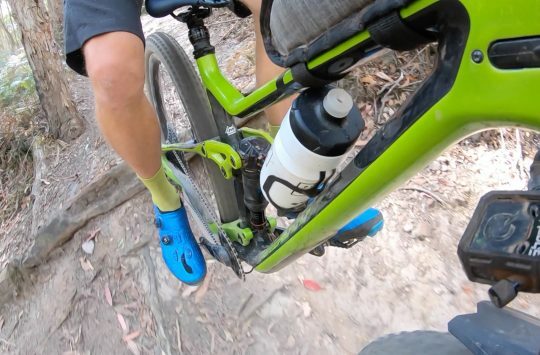 This wasn’t something that interrupted pedalling style or negatively affecting feet positioning for me but worth noting if you ride very heels in. The rear calliper is really tucked neatly out of the way. There have been geometry changes, primarily a slacker headtube angle (of course!) and 10mm shorter than before chainstays. The XL 29er I rode runs with a 67.3° head angle a 75° seat tube angle. So, slackish up front and a fairly steep seating position. 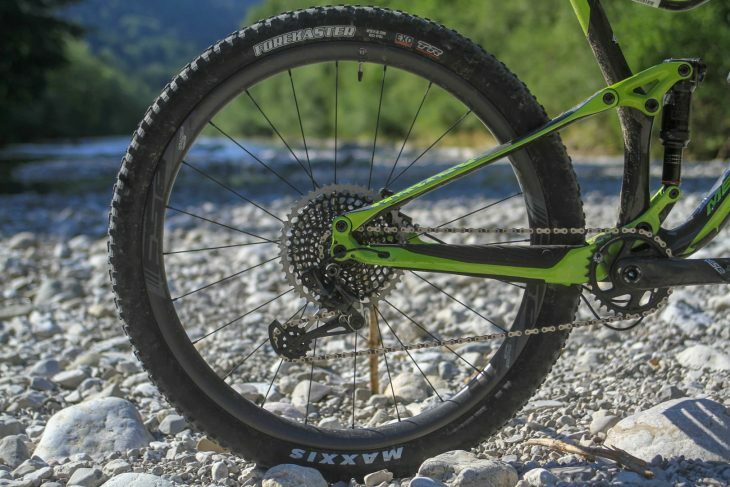 I rode an XLarge size, the biggest that Merida offers, which has a reach of 475mm. I’m 6ft 1in tall and for me there was just enough reach. 475mm is the starting point of a reach range that I am happy riding. There’s no XXLarge size offered so if you are taller, you may be out of luck. With that dropped top tube and generous standover, if you’re shorter there could be scope to size up if you are after more reach. 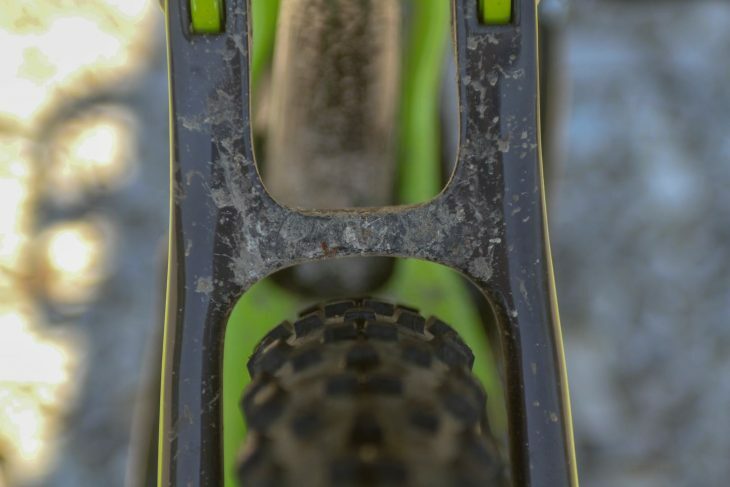 Frame geometry for the 2019 Merida One-Twenty. This is no new-wave long-as-can-be bike. 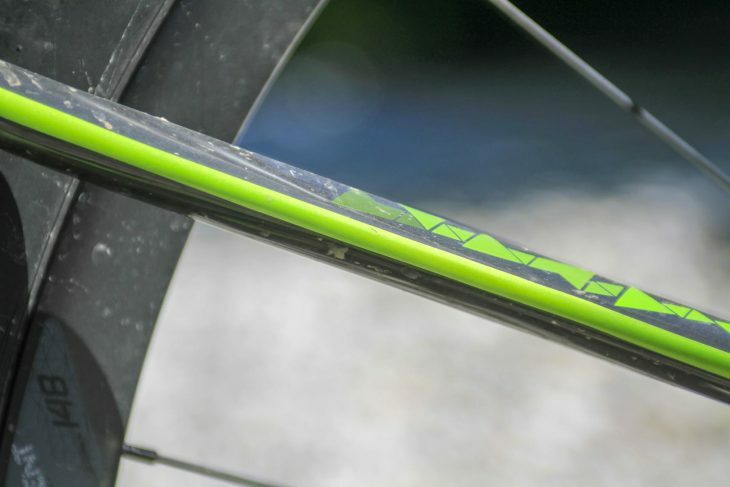 Merida is not pushing geometry boundaries with the One-Twenty. If anything, it’s conservative. It does all come together to give certain handling traits and ride characteristics. For one the 435mm chainstays make lofting and sliding the bike easier to access than anything longer. Of course by the same token the stability at speeds may be compromised a little, but there’s no worry here, simply a handling characteristic/observation. In the presentation, one of Merida’s designers said this of the geometry; “not too long, not too short”. Goldilocks geometry then? It’s definitely not at the extreme end of things. 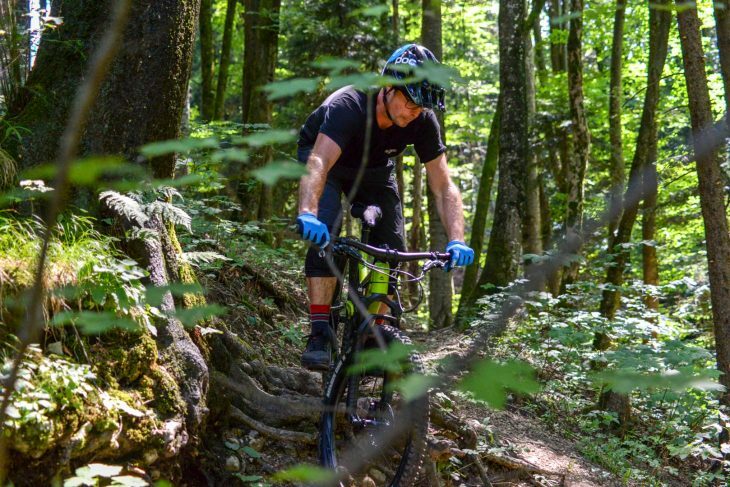 It did work well for the tight ’n’ twisty tree-lined, and sometimes knife-edge singletrack that I rode in Ruhpolding and was comfortable enough for longer efforts. 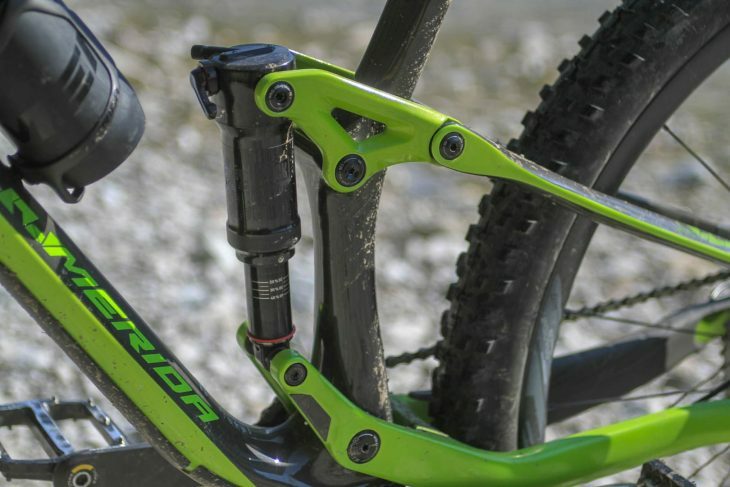 As with its One-Sixty enduro smasher and ‘up for most anything’ One-Forty trail bike, Merida’s Float Link system is used. 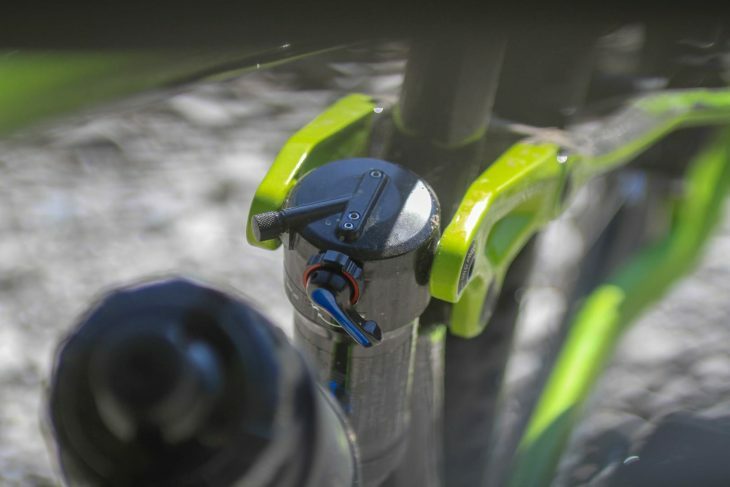 Rather than being mounted to the mainframe on way or another, The shock is attached to a point at the chainstay and rocker, the shock floating between. Mounting at the rocker is trunnion style. Using bearings helps with a smooth start to the action and attached this way there’s more room for a larger shock. Rocker actuated with a floating lower link, though the seatstay pivot effectively gives the bike single pivot suspension. Another change here is the use of bigger bearings. 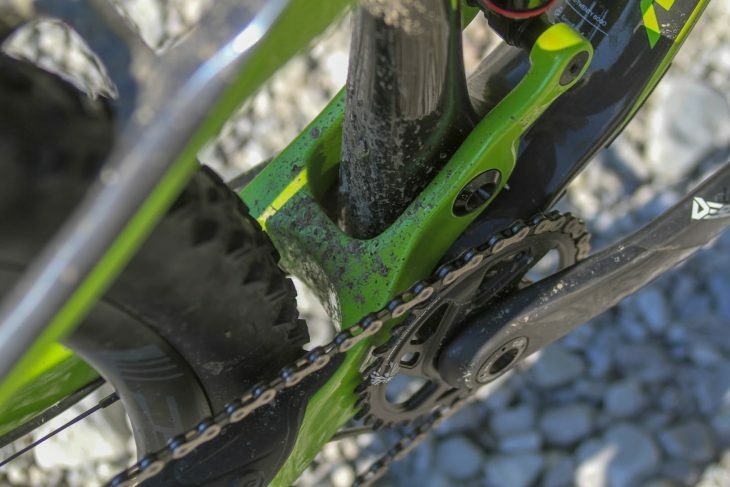 Bearings used are 20% larger at chainstay/seatstay and seatstay rocker and 13% larger at the main pivot. That’s some increase. The swingarm is better supported and should be more durable/give bigger intervals before replacement is required. The shock is squished from below as well as from above. Smooth suspension! Really supple start that melts away smaller trail irregularities and seeks out grip. Then in the mid-stroke there’s plenty of support for rich feel and a bike that you can work with, pumping downslopes and powering along. The 120mm of available travel works superbly. Supple at first and smooth throughout with no discernible pedalling feedback. 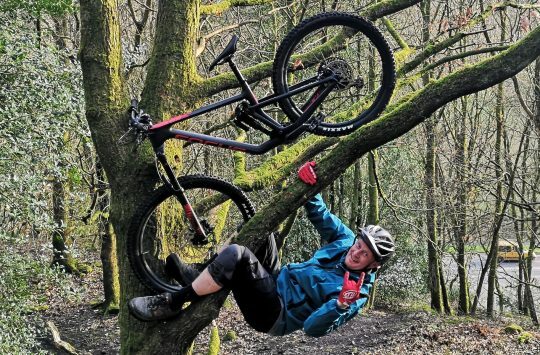 There’s no surprises or unusual characteristics, just great control wether you are pedalling hard, loading the bike into compressions or simply holding on in the rough. The float link suspension goes about its job quietly and confidently. 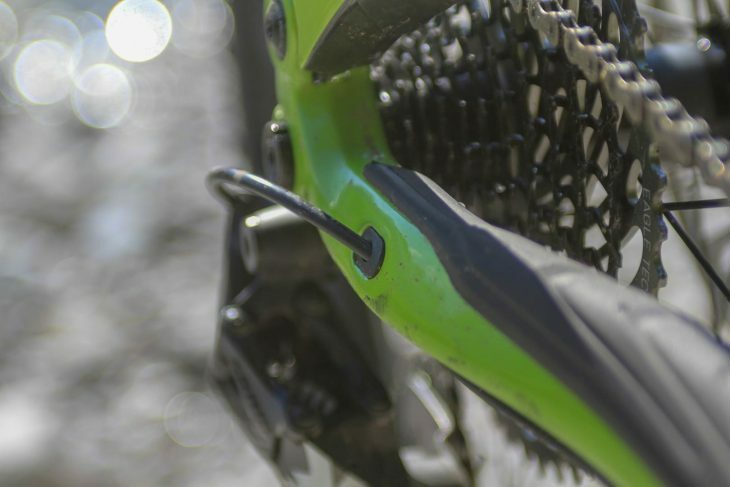 Merida has two different build styles that feature throughout the one-twenty range to suit different applications. They are ‘trail specification’ and ‘long distance specification’. Key components such as tyres, wheels and brakes are picked to best suit. It’s been said that wheels are the best upgrade for a bike. They certainly contribute heavily to the feel and abilities. The stock wheels throughout the range have decent rim width, which is a very good thing. 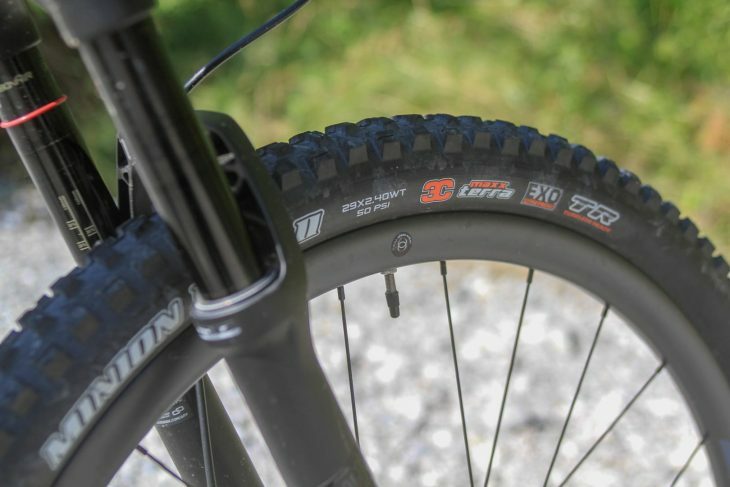 Wide rims support tyres well – a real benefit when it comes to riding rough terrain and pushing on. The wheelset is FSA’s Gradient LTD featuring tubeless ready carbon fibre rims with a 29mm internal width. Tyres on the 8000 are from Maxxis. A wider and more aggressive tread pattern upfront in the form of a Minion DHR II wide trail 2.4in with a faster rolling Forekaster 2.35in tyre runs out back. Another frameset change to note is that of improved clearance twixt chainstay and seatstay. Out back there’s room for 2.35in tyres with knobs on. This in itself helps with the bike’s intent and range of use. 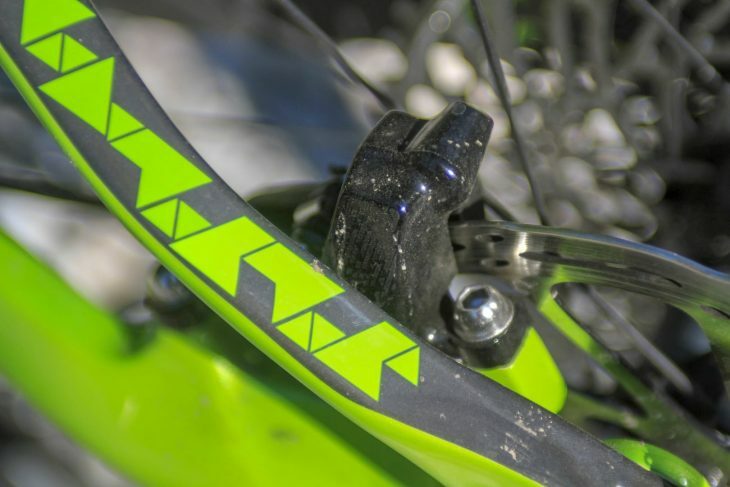 Merida takes care of the cockpit with their own brand grips, short stem and wide bar. Brakes are powerful four-pot SRAM Code RSC’s and drivetrain is SRAM XO1 eagle with carbon fibre Descendant cranks spinning in a press fit bottom bracket. It’s fun. It’s quick. It’s comfortable and manages to feel both light and strong. The feeling of strength and solidity comes from the way it’s put together, no doubt owing to the better supported swingarm and increased cross-sections of choice tubes/frame junctions, but also thanks to the spec on this trail riding 8000 model. It’s no bludgeon, nor has it illusions of being such a bike. This is a short travel trail bike with a playful character that has a decent level of stability when speeds pick up. It absolutely surfs a fine line here. James found plenty of singletrack to ride there. Pete Scullion. The one-twenty rides with agility, it’s easy to change direction and has a good ‘pop’. And it has a quick feel through the drivetrain; pedal hard and there’s real drive as it surges forwards. The riding position is good for comfortably spinning along on extended rides as well as messing around in the woods. It’s neither a twitchy XC-only bike or straight line smasher. It does have that hold-fast backbone and vibe that, when the going gets tough ’n’ rough, it can be hustled and danced through and over stuff with ease. You dancin’? Photo – Pete Scullion. 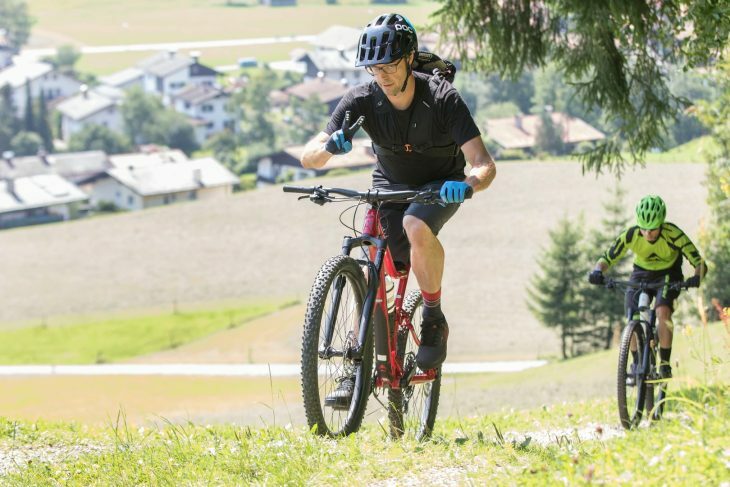 The design goal with the latest version of Merida’s short travel trail bike was to hit a particular sweet spot and produce a bike that works well for trail riding as well as long distance riding. Have the designers achieved that? Yes. 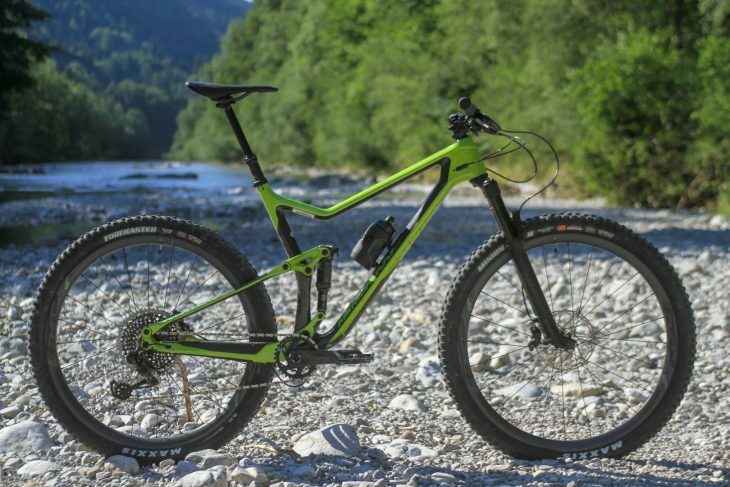 I reckon that the balance Merida’s designers strived for with the latest One-Twenty has been achieved. First impressions are very good indeed. The One-Twenty will absolutely go far. It offers a comfortable and efficient ride feel. And it’s a whole load of fun with both good levels of agility and confidence. All in all a good mix of characteristics and sublime suspension. Me, I like to go far and I like to have fun. A trail bike of this type; a short travel bike that doesn’t have the fear when it comes to the fun stuff? Sounds great to me. 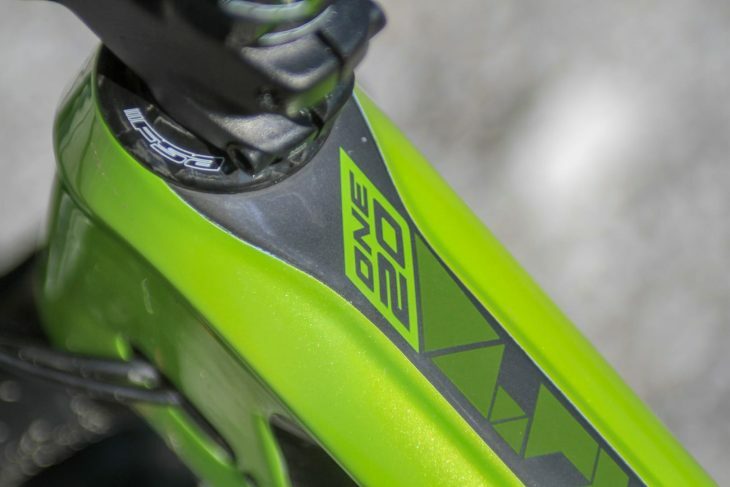 By the same token if you are out for a good old big day out and/or into a bit of redlining along your favourite bit of singletrack, the Merida One-Twenty is game. Flights and accommodation for this trip were covered by Merida. and I like that James is riding MTB..! !